What material are Snow Monkey flasks made of? made of plastic, compliant with all the applicable regulations, is BPA sound and safe to use. What are the dimensions of Snow Monkey flasks? Are Snow Monkey flasks dishwasher safe? How long the Snow Monkey flasks keeps the temperature of the beverage? It keeps till 24 hours cold and till 12 hours hot. May Snow Monkey flasks be put in the microwave? Snow Monkey flasks are made from 18/8 stainless steel and may not be heated in the microwave. Is buying in the SNOWMONKEYflask online shop safe? The company uses appropriate technical and organizational tools for the protection and storage of personal data and payment transfer data. Which payment methods can be used in the SNOWMONKEYflask online shop? The following payment methods are available in the SNOWMONKEYflask.com online shop: Bank transfer: Invoice (UPN) to the company account. PayPal: We accept payment via PayPal processor. Credit cards: All major credit cards are accepted (MasterCard, Visa, AmericanExpress… ) via PayPal processor. Can I order Snow Monkey flasks and have them delivered in my country? Snow Monkey flasks may be ordered and are shipped to all European countries. All orders placed during working hours before 2 p.m. will be shipped the next day provided the flasks are in stock. Orders with advance payment will be shipped as soon as the deposit to the bank account had been received. Orders placed on weekends or holidays will be shipped immediately on the next working day. It is possible to set the delivery at a later specified date. May I cancel my order and request reimbursement? 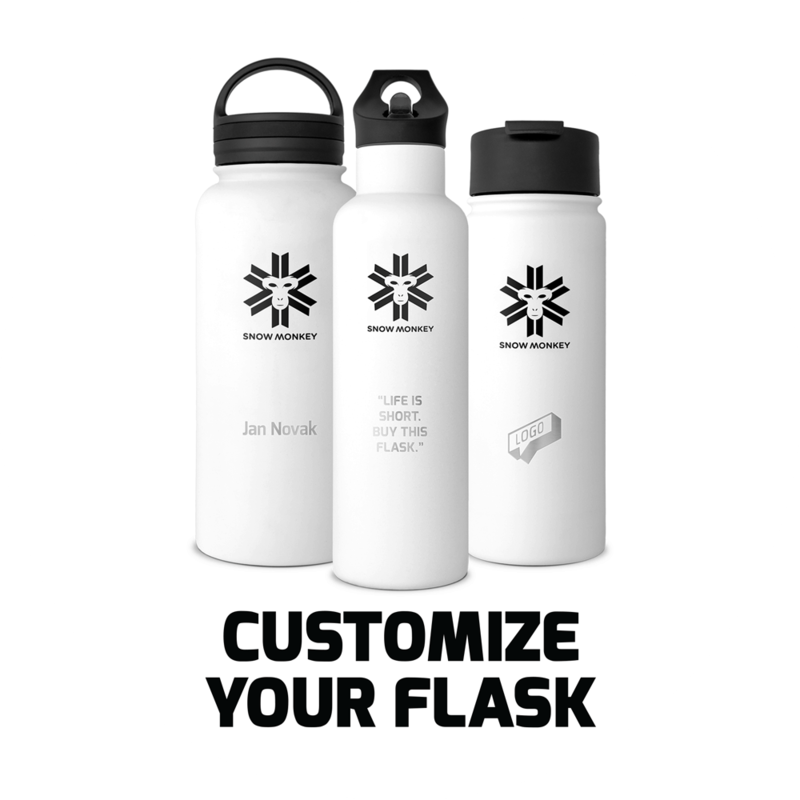 inform the company by an email sent to info@snowmonkey-flask.com. The guarantee is valid 12 months from the purchase, under the condition that the product was used in accordance with the instructions for use.